Pregnant women received advice on hygiene. In case of dystocia, doctors applied cesarean section and embryotomy. With adoption of Christianity, fanatics of the new faith started destroying pagan temples, which, besides being places of worship, were the depositaries of unique scientific knowledge accumulated in the course of centuries: astronomy, mathematics, medicine, metallurgy, architecture, military science, wine making and agriculture. Huge amount of information as well as authorship of many findings and researches was lost while pagan priests, who managed to survive, fled to neighbor countries. PanARMENIAN.Net - Medicine had started developing in Armenia since ancient times. We now possess abundant evidence like trepanned skulls, images of mother and children carved in stones, as well as 6 thousand-year-old filled teeth. During a long period of time medicine was tightly related to religion, cult and temples. That was the period of hieratic medicine, where physicians removed arrows, bandaged wounds, stopped bleeding, etc. Archeologists also found lots of medical instruments like lancets, forceps, scissors and blades. Besides, doctors of that time used opium, henbane and hemp to alleviate pain during surgeries. Armenia was famous for its medical plants which were exported to the west and east. Drugs containing iron were used for treatment of some diseases. Bolus armena, borax and ammonia spread abroad. Wild medical plants were incubated in special gardens laid by the order of King Artashes (1st century BC). According to some data, Pontiac King Mitridat, a kin of Tigran II, was a well-known physician, who created antidote. Armenian doctors had to treat the poor free of charge, while those who refused to help were deprived of the title. In the 3rd century, first civilian hospitals and shelters for homeless opened at temples thanks to donations from the population. Hospitals in Western Armenia - Sebastia and Kessaria - were most famous. Armenian physicians also practiced in the Middle East. The first hospital in Baghdad opened by initiative of ethnic Armenian doctor Jabril ibn Bukhtishu. Another interesting fact proving scientific progress in Armenian medicine: Roman doctor Galen (1st century BC) considered that heart is not made up of muscles. European doctors were of the same opinion till the 16th century. Leonardo da Vinci believed that the heart resembles a cartilage. Meanwhile, Armenian physicians in the 11th century knew that the heart consist of muscle tissues. In the Kingdom of Cilicia, medicine and public health were considered weighty matters of state. Hospitals were guarded by the clergy; medical institutions were under state control. 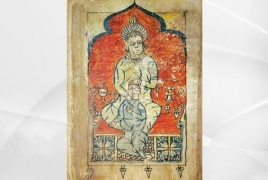 Young specialists were trained and over 100 of works in anatomy and physiology proving this fact are now preserved in Matenadaran, the Depository of Ancient Manuscripts. There is also information regarding forensic medicine. For example, Mkhitar Gosh’s “Datastanagirk” (Book of Law) says that in case of miscarriage, a woman herself, as well as the fetus, could be examined to find out what was the cause of misfortune. If it was caused by a blow, the guilty person could be punished. Unfortunately, with the collapse of the Kingdom of Cilicia, Armenia lost the opportunity to develop science for many centuries.